What follows is the 3rd of eight disaster lessons from site. We ask what went wrong and review what we’ve changed in our practices to prevent it from happening again. An archive of the series can be accessed here. As the name suggests, a provisional sum is a nominal allowance within most fixed price building contracts that relates to a portion of a project that is not yet known. Typical examples of such sums might be a supply rate for bathroom tiles still to be selected, or an item of joinery not yet documented. We try to keep provisional sums to a minimum, as they represent an unnecessary financial risk to our clients. In this instance, the builder requested a portion of the works be removed from the fixed component of the contract and relegated to a provisional sum. The works involved new pool fencing to an existing pool. The fence had already been thoroughly documented, but the builder was struggling to lock down a price, and both he and our clients were keen for him to start on site as soon as possible. The builder provided an estimate for the fence – around $12,000 – and we accepted his request. The builder started on site. Some months later, he submitted a fixed quote for the pool fence based on a simplified version of the originally submitted documentation. We were shocked to discover that despite this simplification his quote was more than double his original estimate. Our analysis of the builder’s quote proved our design to be economical, and his fixed quote to in fact be fair and reasonable. 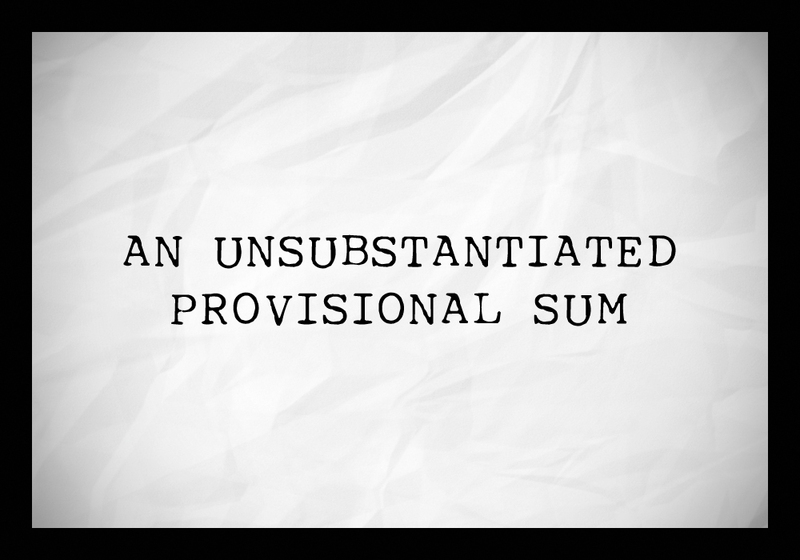 It was his estimate that was flawed and, unfortunately, the nature of provisional sums made his error our client’s problem. They were ultimately put in a position where they had to spend $15,000 over their expectations to build their fence. The builder was not sufficiently diligent when preparing his estimate for the pool fence, we think in large part because he had no need to be. He had already more or less won the tender, and the estimate was intended for a provisional sum, with no requirement for him to honour it. His calculations for the materials and labour required for the fence were both seriously undercooked, errors he was able to later rectify. It is rare for a provisional sum to be prepared by a builder, but in the event one is, the lesson we learnt is it should always be cross-checked for accuracy. This can be done by analysis of the breakdown of the sum, or even better, by comparison against other builders’ or a quantity surveyor’s estimates. An unsubstantiated provisional sum, author’s own image.